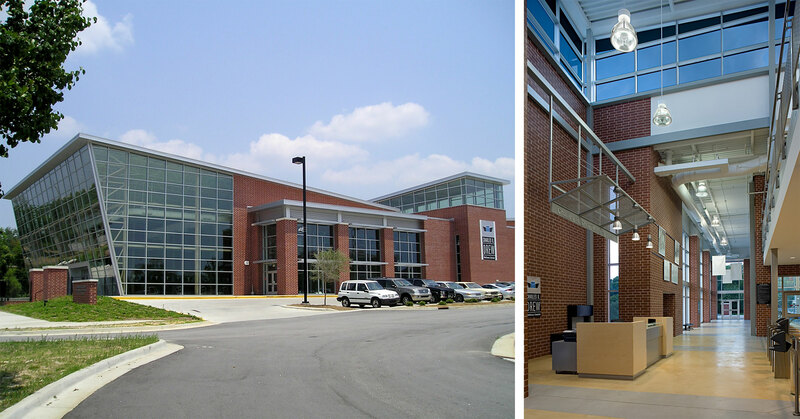 The City of Columbia chose our team to design a new state-of-the-art wellness facility. 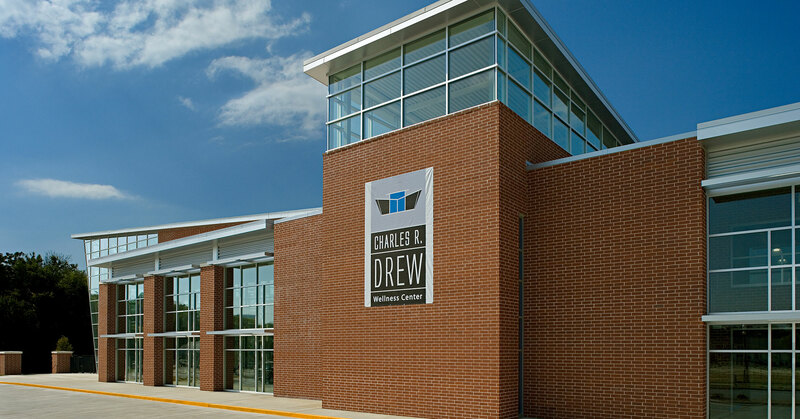 Located near the intersection of Harden Street and Calhoun Street, the Charles R. Drew Wellness Center is 40,000 square feet and includes a Natatorium that features a pool combining eight lanes of 25-Meter lap swimming. Sloping glazed curtain walls open the Natatorium to views from Harden Street. 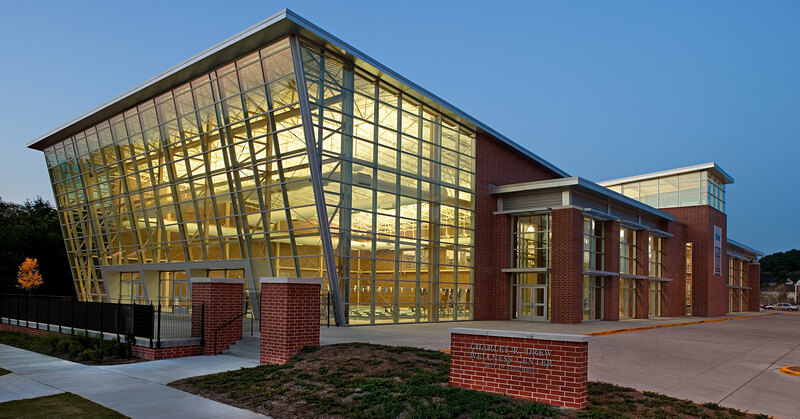 Opposite the Natatorium is a gymnasium space for basketball and volleyball events. 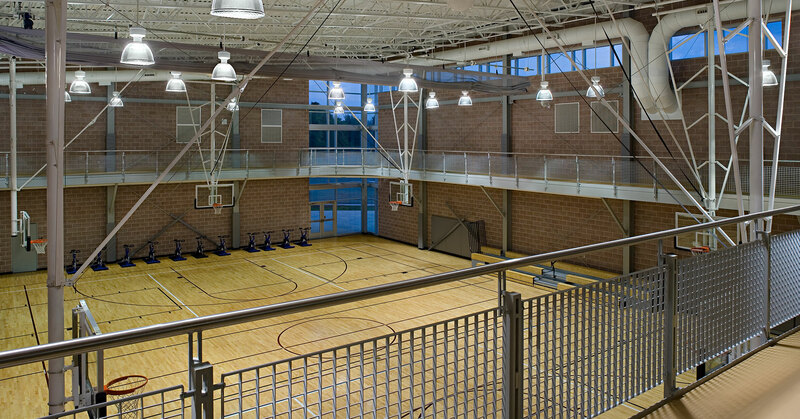 The Mezzanine level features a jogging track that runs along the perimeter of the gym and is open to the gym space below. 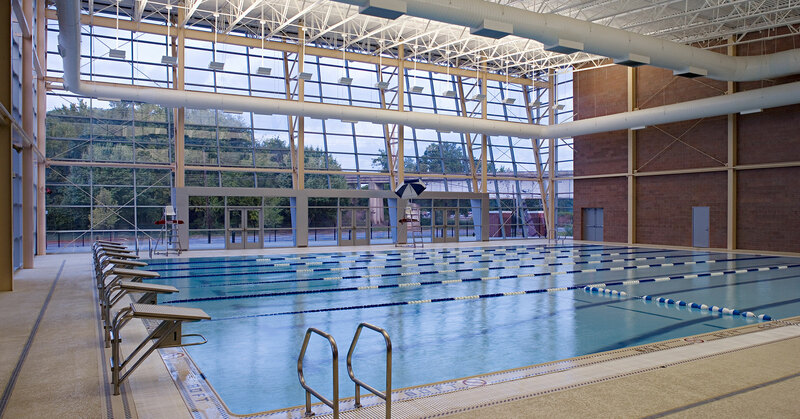 Joggers overlook the Natatorium as they run by the glass wall that separates the Mezzanine and Natatorium. A cardio and free weight area is also located on the Mezzanine level.